Since a medically determinable impairment must be the basis of a finding of disability, step two in the five step disability evaluation process is to determine whether a severe impairment is present. For an impairment or combination to be severe, it must significantly limit the individual’s physical or mental capacity to perform one or more basic work activities as required in most jobs. The following list identifies all physical, environmental and mental work activities. Impairment is considered “not severe” if it has no more than a minimal effect on an individual’s physical or mental ability to do basic work activities. Example: Amputation of a leg above the knee would significantly limit several of the physical work activities (stand, walk, climb, etc.). On the other hand, a headache will generally make an individual feel less than well, but he would normally be able to carry out any of the work functions in the list above. If the medical evidence (symptoms, signs, and laboratory finding) does not establish impairment(s) that has more than minimal effect on the individual’s work activities, a decision of “not disabled” is appropriate. The decision at this step is based on medical findings alone, vocational factors are not considered. To make a decision at this step, all necessary medical evidence must be obtained. A decision cannot be made based on “gut feeling,” but must be supported by the necessary findings. So how will this information help me win my disability claim? From this list included in the “work functions” section above, it is easy to see why it is so important to thoroughly complete your work history form, listing the requirement for walking, standing, sitting, climbing, stooping, kneeling, crouching, crawling, handling, reaching and writing on each job. Generally, your disability examiner will be able to determine the environmental factors you are exposed to based on the type of work that you do, but if you know that you have been exposed to other environmental condition in your individual situation that your industry in general would not be expected to be exposed to, then you should make it a point to mention this on your work history for that particular job so that it will be considered in the decision that the examiner will make in determining whether or not you can return to that type of work. * Editor’s note: With reference to the last paragraph regarding how combination impairments are to be treated, it has been my experience that disability examiners do not handle combination impairments very well, and rarely are non-severe impairments combined to produce a severe impairment or a positive decision for claimants. The one exception might be in the case of a mentally retarded individual who has other physical impairments (section 12.05 of the Listings of Impairments). So, if you have a combination of impairments, which when taken together, render you disabled, these type cases tend to get better decisions in front of an Administrative Law Judge (i.e. when you appeal your denial after the initial and reconsideration level). 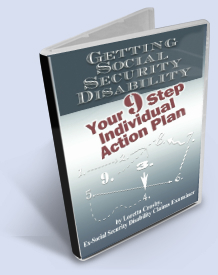 You may want to retain representation by a skilled social security disability representative or attorney in your state.